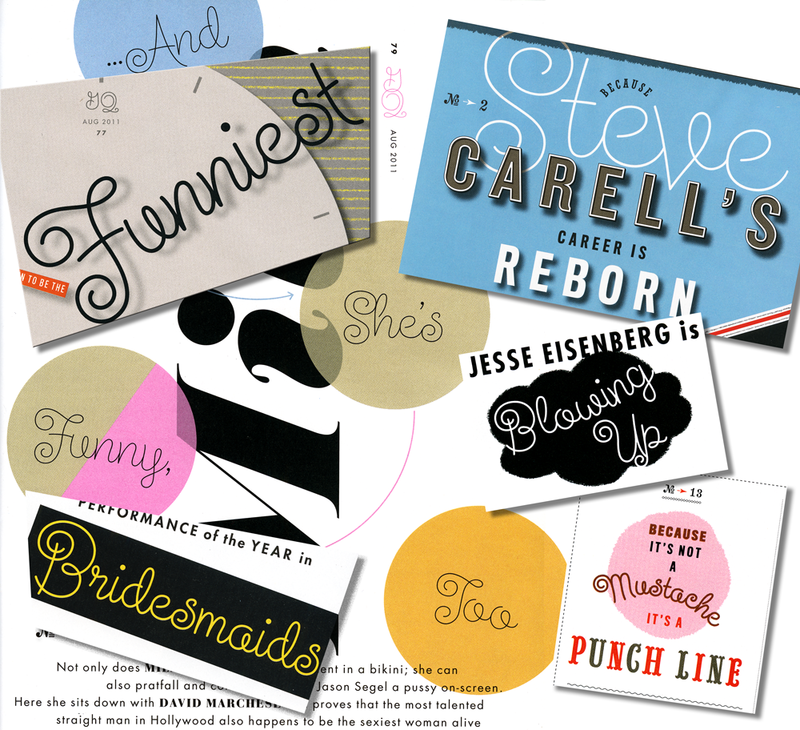 My good friend Mark Simonson recently alerted me to a very interesting use of my most recently released font Grafika. 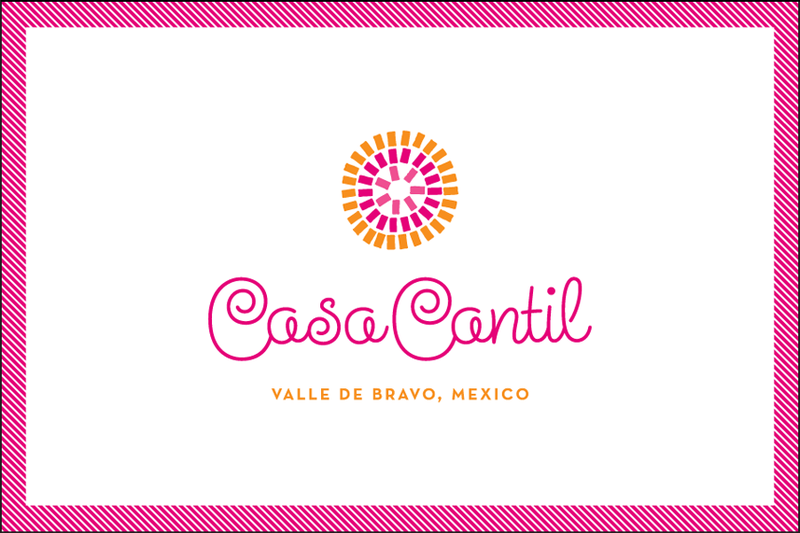 He found it Behance’s online portfolio for Spanish designer Vicente García Morillo. 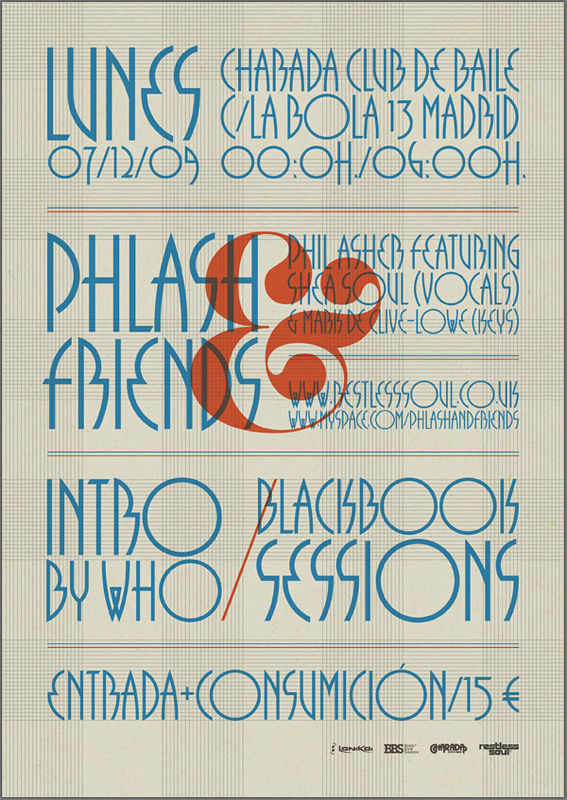 It was used to produce a flyer for Phil Asher, a UK DJ/Producer performing in Madrid under the guise of “Phlash”. What piqued my interest about this particular usage was the fact that Mr. Morillo used Grafika in ALL CAPS—something I had never anticipated. I usually recommend that this font be set in upper and lowercase. 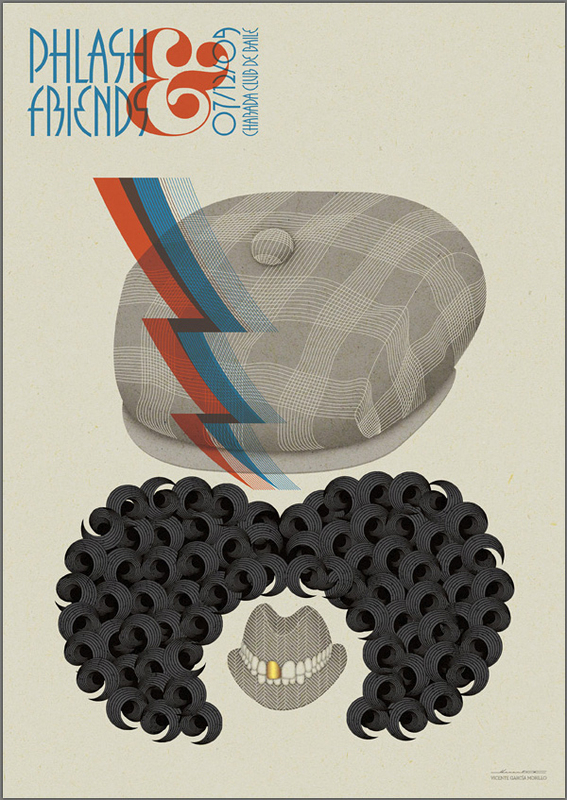 But I have to admit that seeing this flyer has changed my mind.